The Large Hadron Collider makes for a perfectly exciting documentary subject. Physics is one of the hardest concepts to explain to those who do not already appreciate it. It's a subject filled with equations and abstract concepts that encompass the essence of life. Yet there is an element to the new documentary Particle Fever that not only cuts to the core of what physicists do, but brings a fragment of humanity and understanding to their work. This is the draw of the film, which details the long process of bringing the Large Hadron Collider near Geneva, Switzerland, to life. It was built by more than 4,000 physicists from around the world whose intention is to use this massive machine to find the Higgs boson particle and explain how particles were created after the Big Bang. The film divides its time between two different types of physicists: theorists and experimentalists. 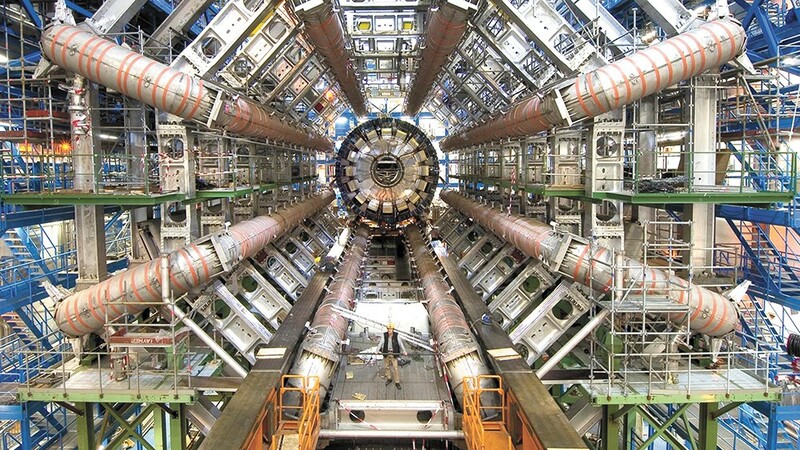 The theorists came up with the idea of the Large Hadron Collider and observe the events from an outside perspective. They are the brains of the operation, but can only watch as the data comes in. If there is one thing Particle Fever puts above all else, it is the world these physicists live in. To them, their work is the only thing that matters. Fabiola Gianotti, who leads one of the experiments, passionately says she never sleeps or eats. Another scientist, Martin Aleksa, compares it to man landing on the moon and constructing the pyramids, even though he admits there is no immediate practical application for their discoveries. These physicists are in their own world and live by their rules. Even when they engage in seemingly mundane acts, like playing ping-pong, they use them as a way to discuss work. Their justification is that life will forever be changed if they find the Higgs boson particle, so their well-being is a small price to pay. This makes the physicists relatable and their goals and methods understandable. Particle Fever is not showing in any theaters in the area.